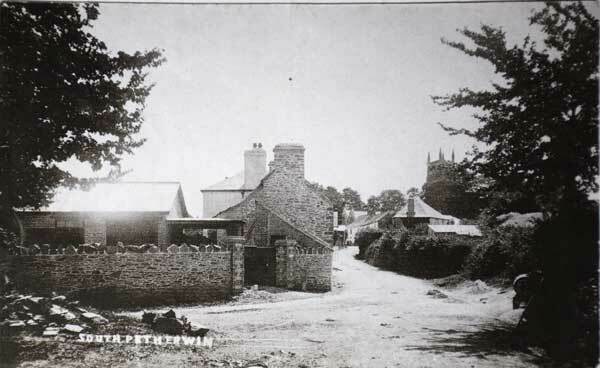 The History of South Petherwin | Launceston Then! St. Paternus Church, South Petherwin c.1910. The Saint, Patern (or Padern) has had several candidates, which has become mixed and confused over the ages. 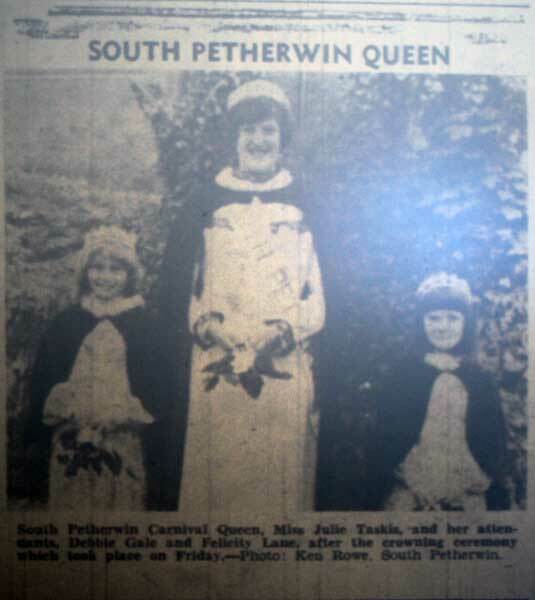 It is believed that the actual St. Patern to which the Parish’s of North and South Petherwin are dedicated to, was actually the father of St. Constantine, a Cornish King who gave up his throne to become a monk. St. Patern and St. Constantine have thus always been indelibly linked, with dedications always being near one another (a Celtic practice when Saints are related or work together). St. Constantine Church at Milton Abbot being the case in point for South Petherwin. 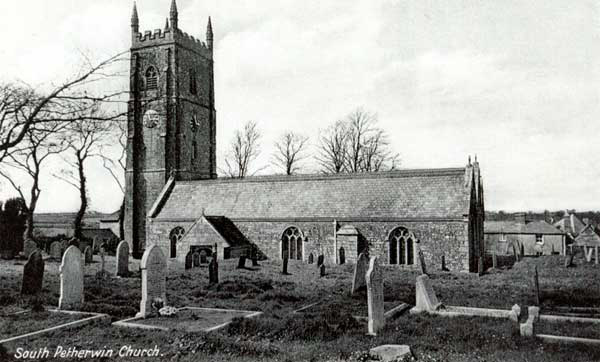 With the assumption that that Dunheved (Now known as Launceston) was the seat of the Celtic Kings of the area and that when Constantine became a monk he gave his territory to the Celtic Church, the Parish, along with North Petherwin and Lawhitton (Landwithan), would have been administered by the Celtic Bishop of St. Germans Monastery. With the Saxon invasion, the new Saxon King created a new diocese in the South West based at Sherbourne. The lands which were controlled by the Celtic Bishop, were conceded to the new Bishop’s control, to finance his work in Cornwall. It is with the Saxons that both Petherwin’s began to dominate the region, with the river Kensey being the natural divide. North Petherwin in the North with the new monastery of St. Stephens (a Saxon minister being appointed to quell the Celts), and South Petherwin to the south of the Kensey. The Saxons allowed the decline of Dunheved as a means to crush the Celtic will. 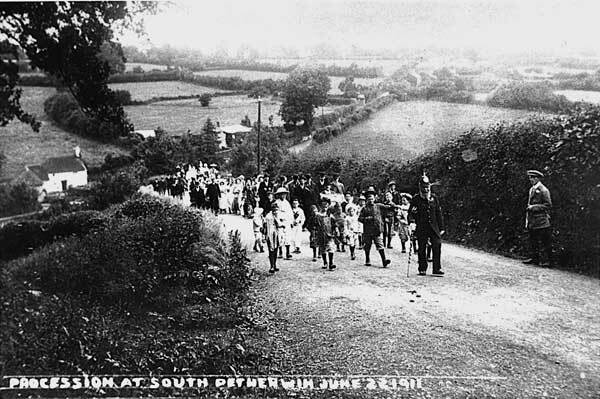 The Diocese moved first to Crediton from Sherbourne, then on to Exeter. The next radical change came with the Normans who saught to suppress the Saxon’s control. 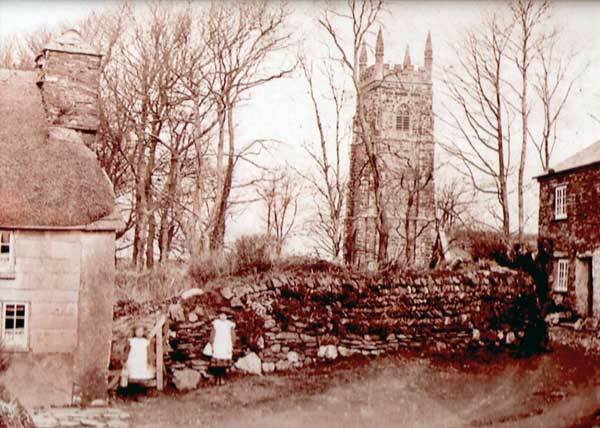 First St. Stephen’s was reduced as a minister with the priory being moved across the Kensey to Newport. Then the ruined ancient fort of Dunheved was rebuilt as a Castle and walled town. 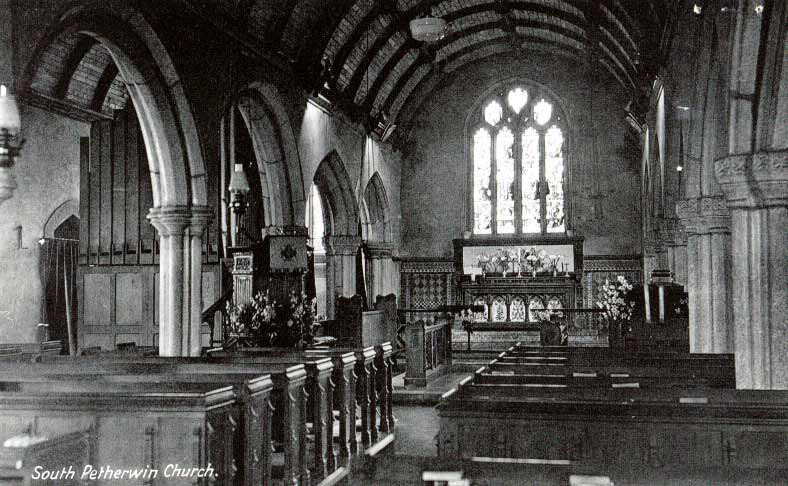 South Petherwin then became the mother Church for Launceston, and it is for the Church’s importance in providing a valuable source of income to the church as a whole, that accounts for the size of the Church when it was rebuilt in the fifteenth century. Its significance is also shown by the existence of five roads which all congregate at the Church. (Three still exist as normal tarmac roads; one is a footpath leading across fields from Tregadillet, with a fifth road from Trecrogo, which is now sadly blocked off.) 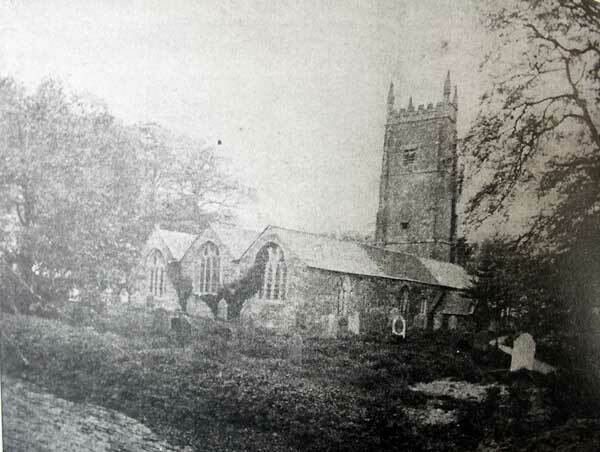 The estate was much larger than the present Parish and also included Trewen, hence the Medieval association between St. Michaels Church, Trewen and St. Paternus Church, South Petherwin (A link now ended with the consolidation of Parochial charges). 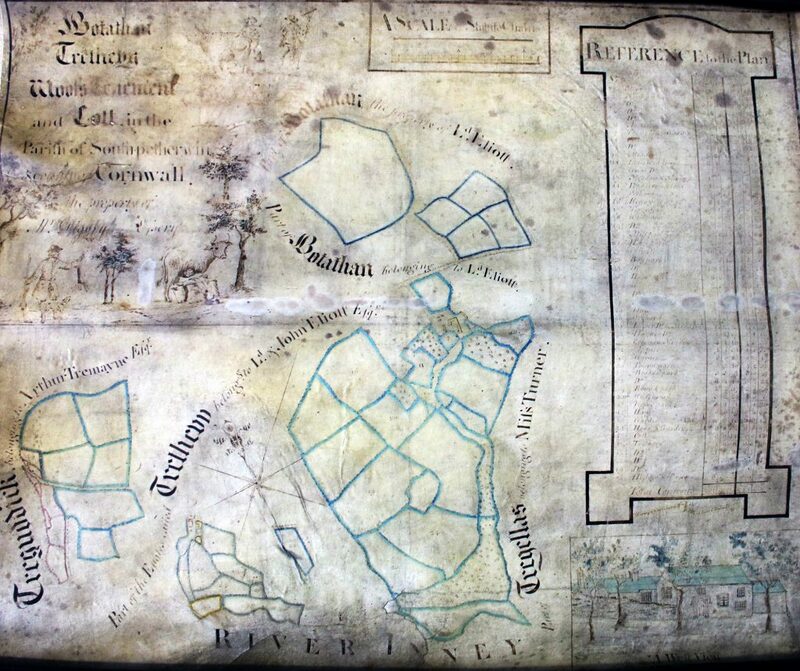 As well as the Churchtown, there lies within the parish the hamlets of Daws House, Trebursye, Tregaller, Trecrogo, Kennards House (Kenners House, Trekenners House) , part of Hicks Mill and Part of Compass (modern day known as Tregadillett). 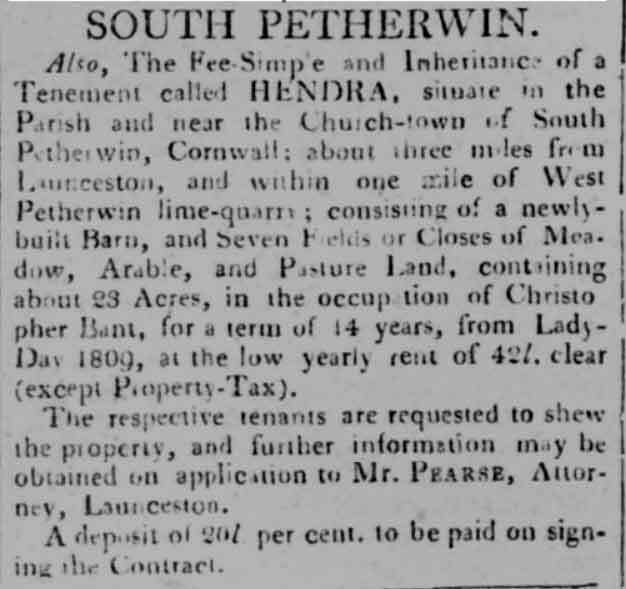 At the beginning of the 19th century, at West Petherwin farm, limestone was quarried and burnt, and along with quarries in St. Stephens and Trewen was the only places in Cornwall where Limestone was raised, burnt and sold on the premises. 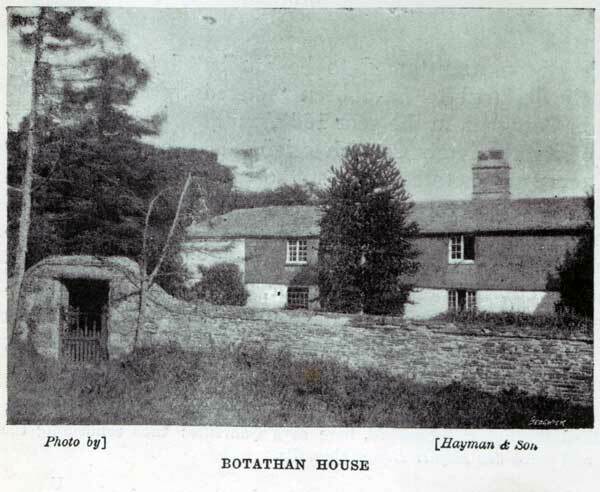 Botathon (Botaden, or Botathen) was long a seat of a branch of the Bligh family, which became extinct in the male line in 1740, and passed through an heiress in marriage to the Rev. Mr. Bawden of South Molton. He then sold it to a Mr. Essery. Today it is owned by the Jasper family who also run a abattoir from the farm. Rev. 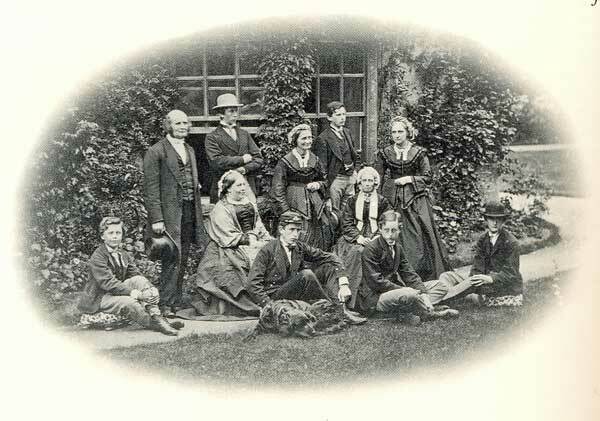 Pullman May and his family outside South Petherwin Vicarage. 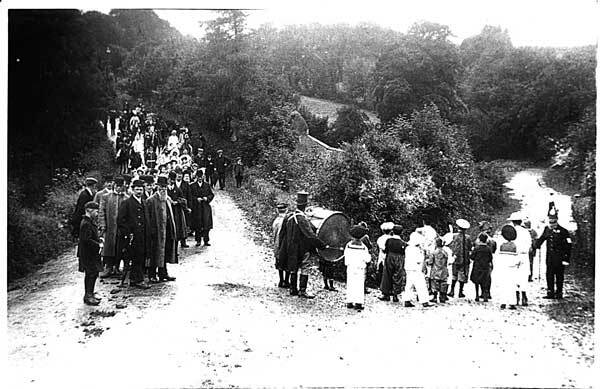 1911 Procession at Petherwin Water, South Petherwin for the Coronation of George V.
South Petherwin Church interior c.1910. Westleigh House and Squances Corner. 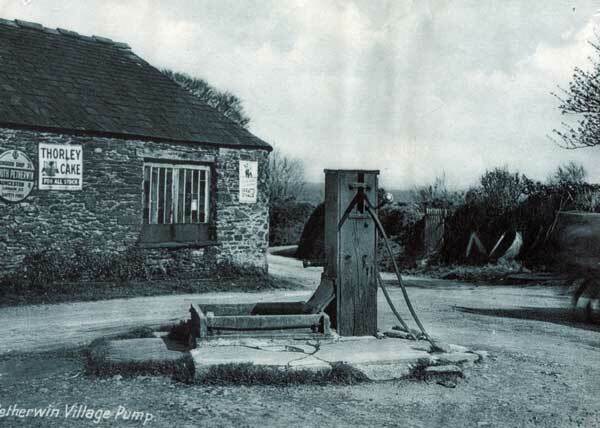 The Black Smithy and Village Pump South Petherwin. 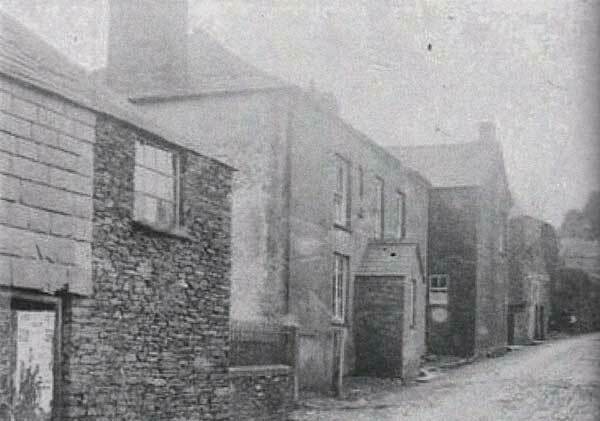 Westcott and Church Lane, South Petherwin c.1900's. 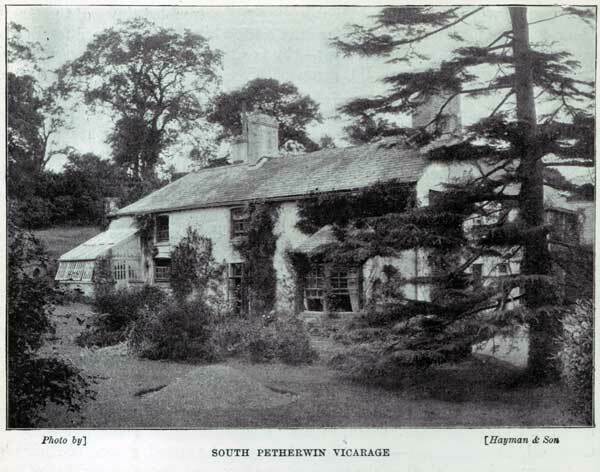 A cottage in the South Petherwin parish. 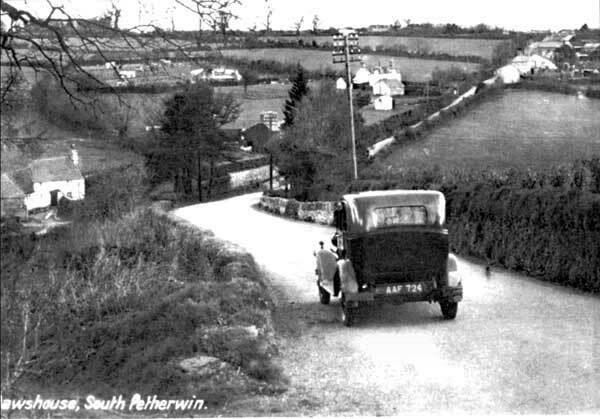 Looking down to Petherwin Water at up to Daws House in the 1930's. 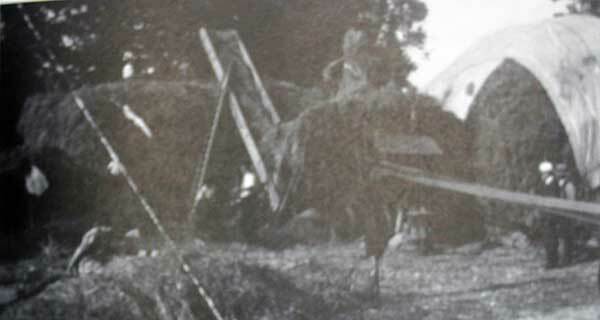 Owen Jenkin's threshing machine at work at South Petherwin in the 1940's. 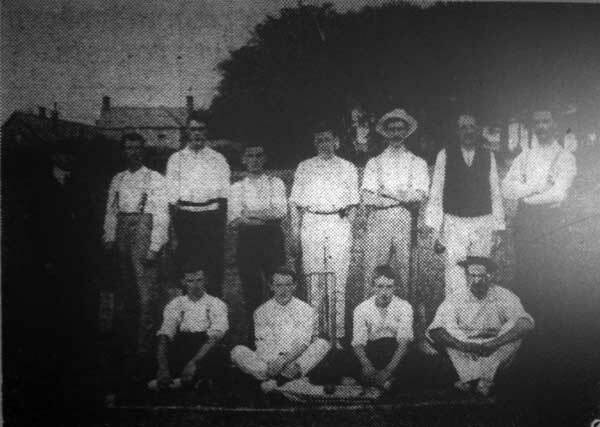 South Petherwin Cricket Club in 1911. 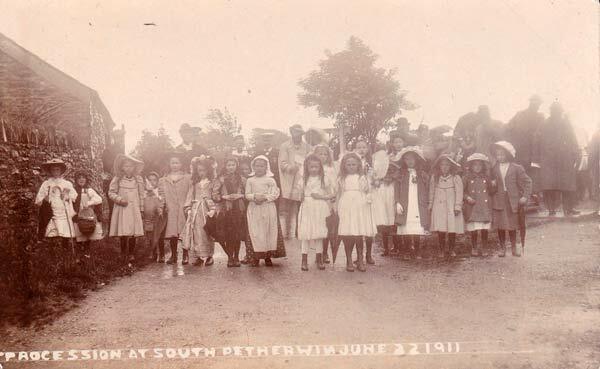 South Petherwin School in 1897. 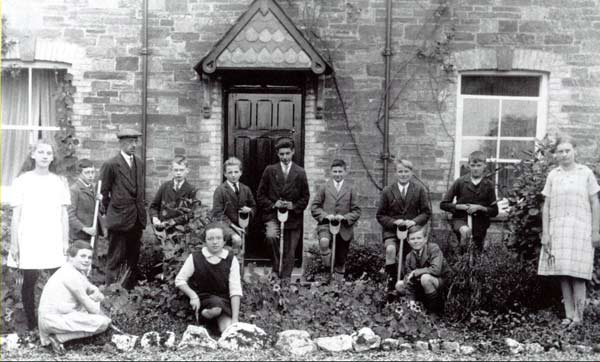 Children tending the garden outside the School House. c.1910's. 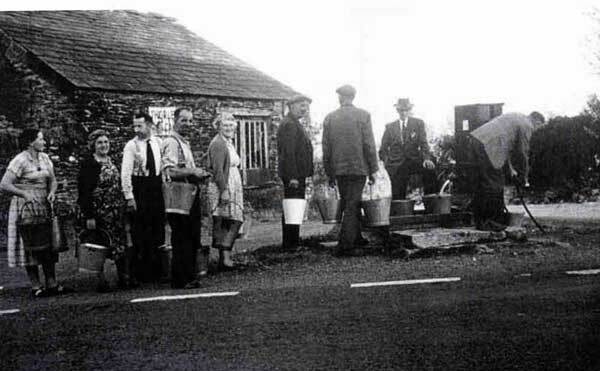 A queue for water at the South Petherwin Pump. 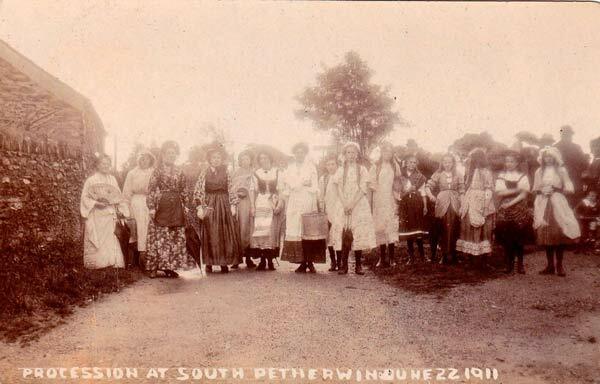 The opening of South Petherwin W. I. Hall in June 1929. South Petherwin W. I. Hall in 1930. 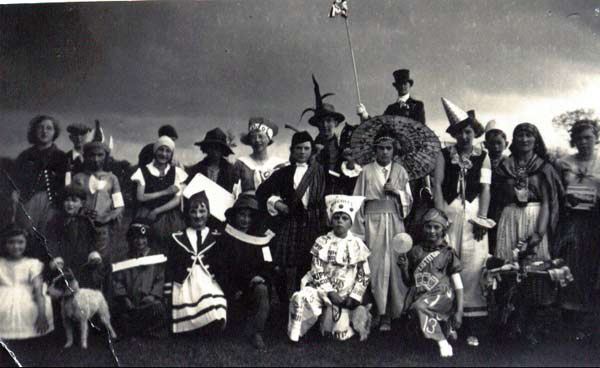 South Petherwin Carnival in the 1930's..
1920's South Petherwin theatrical production. 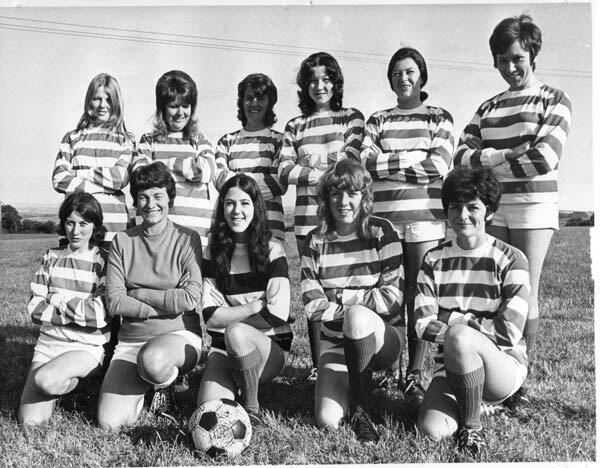 1972 South Petherwin Ladies Football Team. 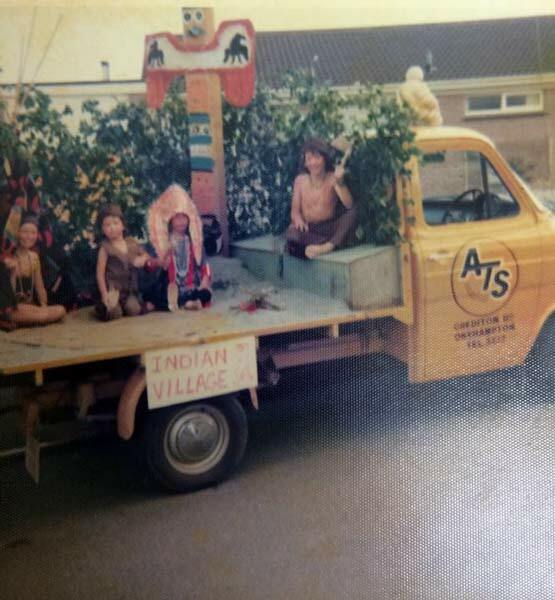 South Petherwin Carnival in the late 1970's. Photo courtesy of Matt Harris. 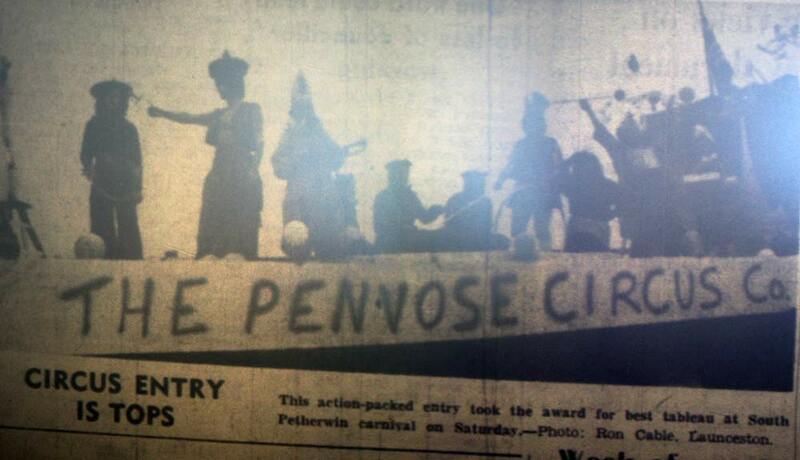 South Petherwin Carnival in 1977. 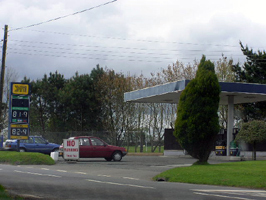 Congdon's Hendra Garage, South Petherwin in 2004. 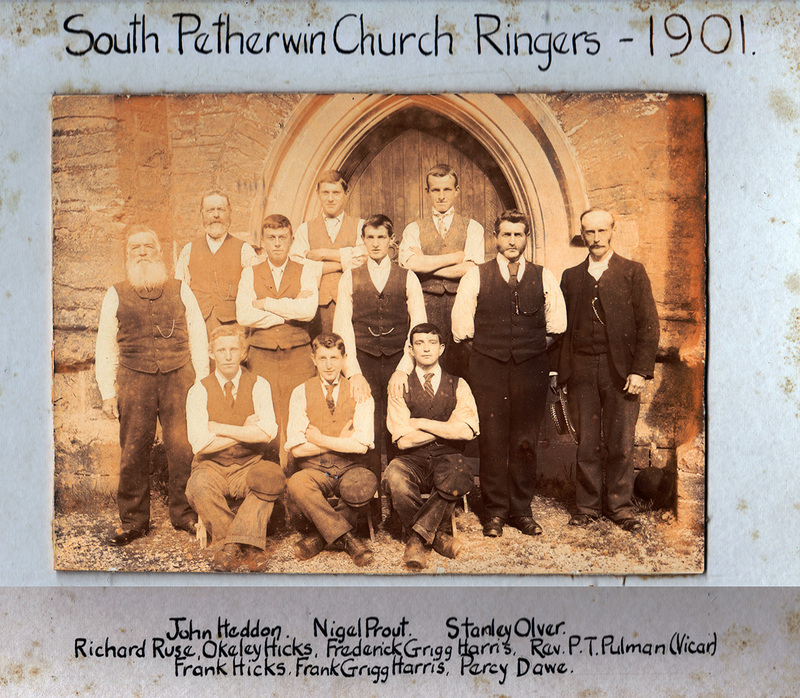 South Petherwin Bell-ringers from 1901. 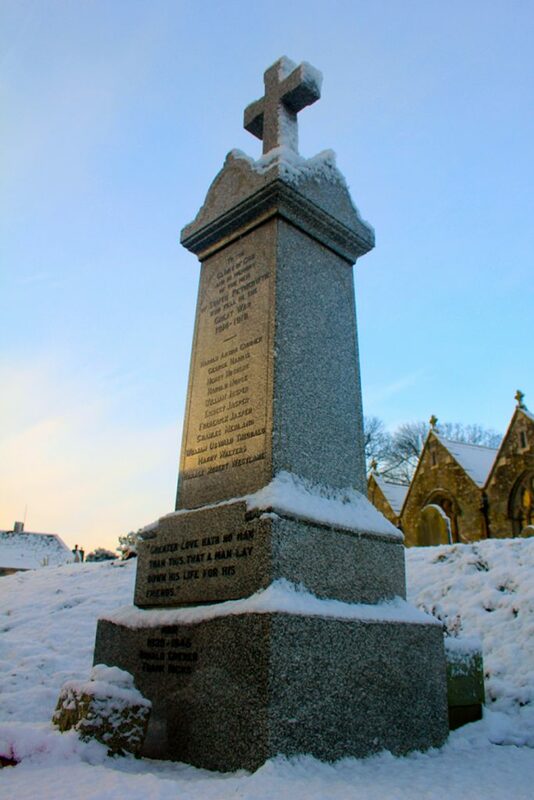 South Petherwin War Memorial 2015. Harold was born at Stukeley, Huntingdonshire in August 1891 to John and Elizabeth Gunner. They lived at the Schoolhouse in South Petherwin with Harold’s Father being the local Schoolmaster. 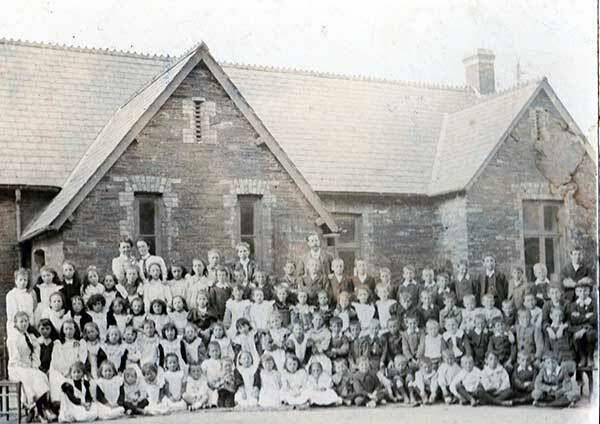 After leaving South Petherwin School, he continued his education at Horwell Grammar School. Passing into the Civil service as a boy clerk, he went to London in 1905. He first joined the Civil Service Rifles (Prince of Wales Own), attaining the rank of Sergeant and was with a guard of honour at the 1911 Coronation of King George V . He enlisted with the Royal Field Artillery in February 1913 before the outbreak of World War 1 and served in the “A” Battery, 282nd Brigade. (First as a Bombardier rising to Corporal 1126 ). 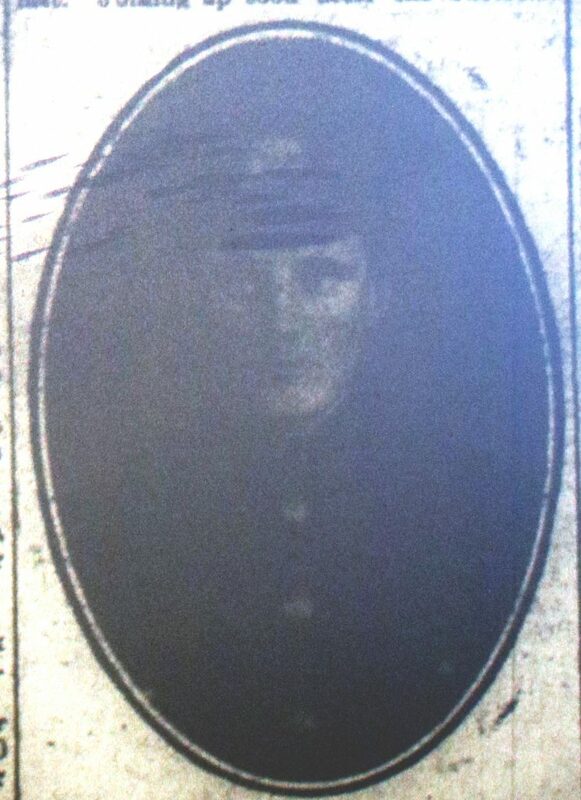 He was killed in action when an enemy shell landed near his gun position killing another two and wounding a fourth, on October, 7th, 1916 during the Battles of Transloy Ridges, near Ginchy. He is buried at the Guards’ Cemetery, Lesboeufs, Somme. 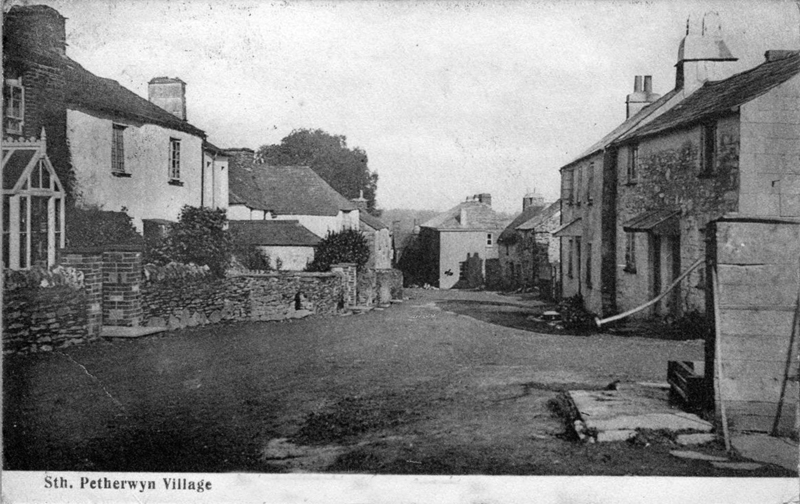 George was born in 1890 to Thomas and Eliza Harris (Nee Jenkin) of the village, South Petherwin. On leaving school, George became an agricultural worker and in 1911 was working for the Langmans at Tregillis Farm, South Petherwin. George married Lily Hockin early in 1915 after enlisting with the Duke of Cornwall’s Light Infantry in August 1914 and served in the 8th Battalion (Private 14377). George and his Battalion disembarked for France on the 22nd September 1915 but within two months they were sent to Salonika, Greece, where they were to fight the Bulgarians who had overrun Serbia. He was wounded fighting in the Balkans and died on September 9th, 1916 of those wounds. He is buried in the SARIGOL MILITARY CEMETERY, KRISTON, Greece. Section A. Grave 75. 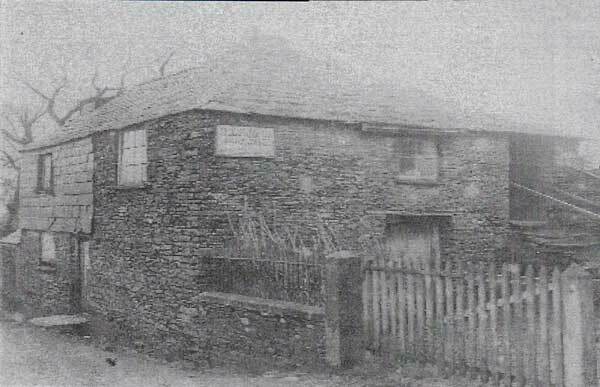 He left a widow of Lilian Ann Harris (nee Hocking), of Trecrogo Farm, South Petherwin. Henry was born in 1893 at Tregillis, South Petherwin to Daniel and Mary Hocking. On leaving school he first worked as a Waggoner for the Langman’s at Tregillis Farm then for Mr. Daniel at Tremail, South Petherwin. Henry joined the Duke of Cornwalls Light Infantry at the outbreak of World War One and was a sergeant 14428. Having completed training he was transferred to the 1st Battalion, one of the DCLI’s regular Battalions, joining his unit in France in late July 1915. The 1st DCLI were part of the 5th Division and as such saw action in most of the major battle on the western front. Henry was made a sergeant within 3 years. He was Killed in Action at the Battle of the Lys near Flanders on April 20th, 1918. 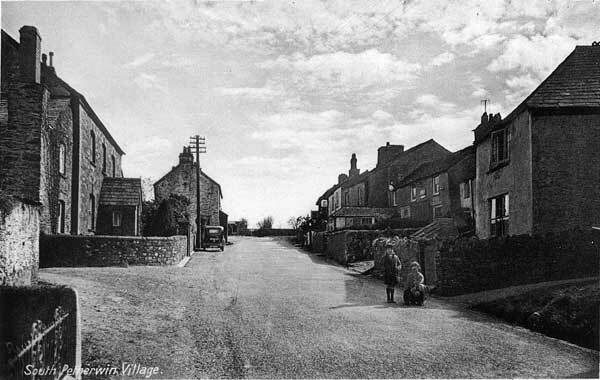 Harold Hodge was born in 1892 at Thorveton, Devon to Thomas and Ellen Hodge. Thomas was a Carpenter and lived at Petherwin Water. Harold joined the Royal Navy as a Boy 2nd Class in 1905. His service record survives and shows him to have made steady progress, qualifying for advancement early in his career (J/1248). His first Ship was the training ship HMS Impregnable where he learnt seamanship and Naval service customs. He the had short tours on HMS Donegal, HMS Hannibal, HMS Andromeda, HMS Monmouth, HMS Europa and finally in November 1912 HMS Conqueror the ship that he would go to war with. HMS Conqueror served in many theatres of the War including the Far East and also the famous Battle of Jutland. Henry fell ill at Rosythe in Scotland and was taken to RN Hospital South Queensferry which had been opened to treat the casualties of the Battle of Jutland. Harry sadly passed away of Influenza/Meningitis on the 30th December 1918. He was buried at St Mary’s Churchyard, Torquay, Devon. 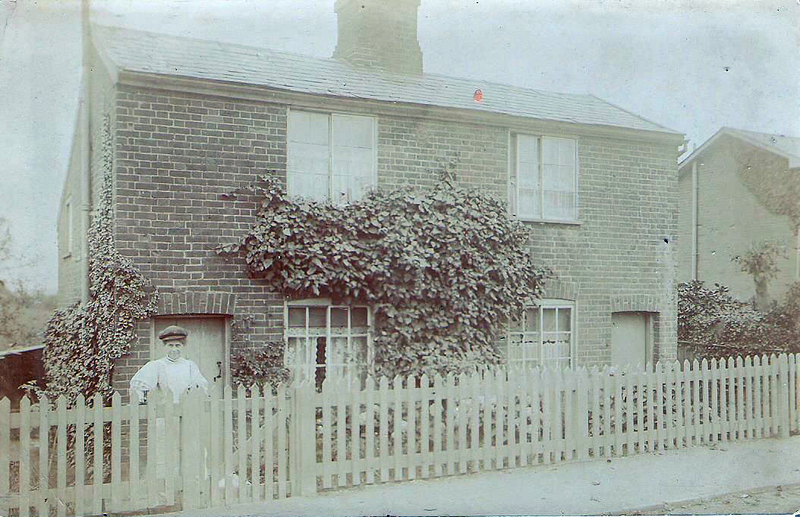 Ernest was born in 1893 at Ruses Mill, Lezant to John (Barber) and Mary Jasper. He worked as a Waggoner and horseman for his Uncle Thomas Jasper who was the miller at Ruses Mill. Ernest would have been conscripted in late 1916 and reported for training with his training unit the Hampshire Regiment 13th (Service) Battalion as a Private 8/4864. Ernest fell ill during his training and was admitted to the Red Cross hospital at Littleham, Exmouth. Ernest’s illness of broncho pneumonia was aggravated by measles and he passed away on the 28th February 1917. He is buried at the Wesleyan Chapel, Coads Green. 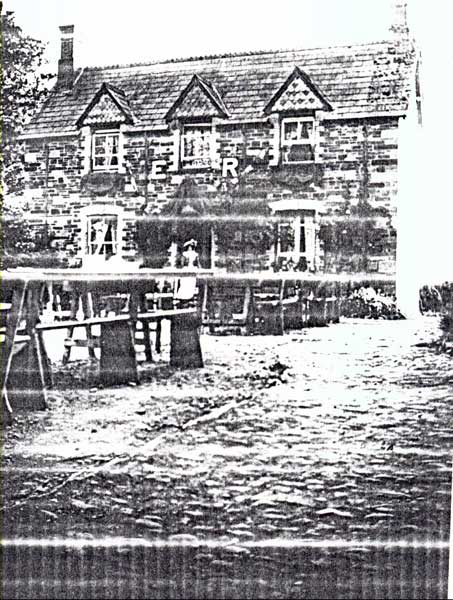 Fred was born at Lewannick in 1893 to Richard and Mary Jasper. 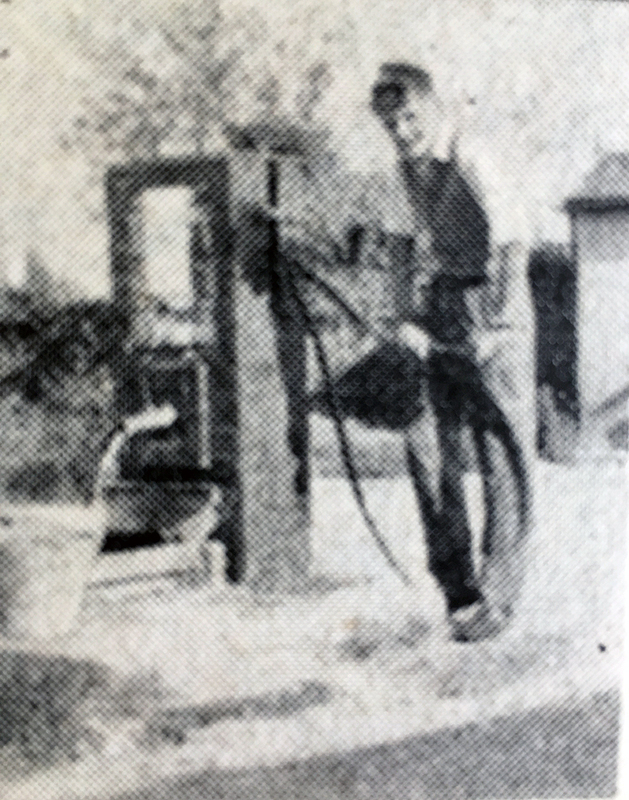 On leaving School, Fred became a Waggoner at Honiton the Family Farm. On the outbreak of World War One he joined the Royal 1st Devon Yeomanry and was on the East Coast defence up until the end of 1916, when he transferred to the Devonshire Regiment serving in the 9th (Service) Battalion as a Private (Regimental No. 45757). Fred was Killed in Action at Polygone Wood/Judge Copse Flanders on October 9th, 1917 at the age of 24. He is buried at Zonnebeke, West Flanders (West-Vlaanderen), Belgium. Fred was a committed Christian and like his friend Horace Westlake took his Bible to Battle. 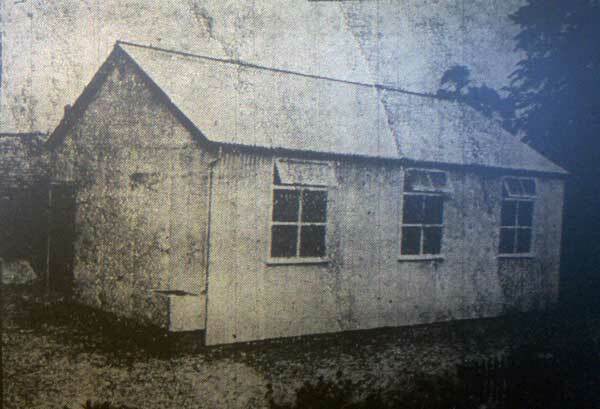 They had both attended South Petherwin Methodist Chapel and its Fred’s Bible that has helped identify Horace’s Bible. 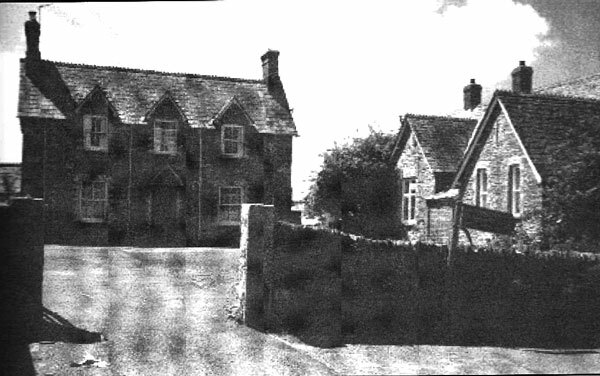 William Jasper was born in 1898 to Thomas and Alice Jasper at Treguddick Cottage, South Petherwin. He joined the Royal Navy as a Stoker 2nd Class and served on HMS Dido and HMS Tornado (Service No. K/39952). HMS Dido served in home waters during WW 1 – 1914 as a Depot ship 3rd Submarine Flotilla, then later that same year as a Depot ship 3rd Destroyer Flotilla Harwich, 1915 – Depot ship 9th Destroyer Flotilla Harwich & 1918 -Depot ship 10th Destroyer Flotilla Harwich and as such never saw action. William joined HMS Dido on October 30th, 1917, and for an unknown period of time he was transferred to HMS Tornado. Due to being taken ill, he left that ship on 17th December, 1917 to return to HMS Vivid on December 18th, 1917, from where he was transferred to the Royal Navy Hospital at Chatham on January, 9th, 1918, where he died of pulmonary tuberculosis on March 6th, 1918. (HMS Tornado was sunk by mines on December 23rd, 1917 off the Dutch coast). He is buried in St. Paternus Churchyard, South Petherwin. and commemorated on the South Petherwin War Memorial. 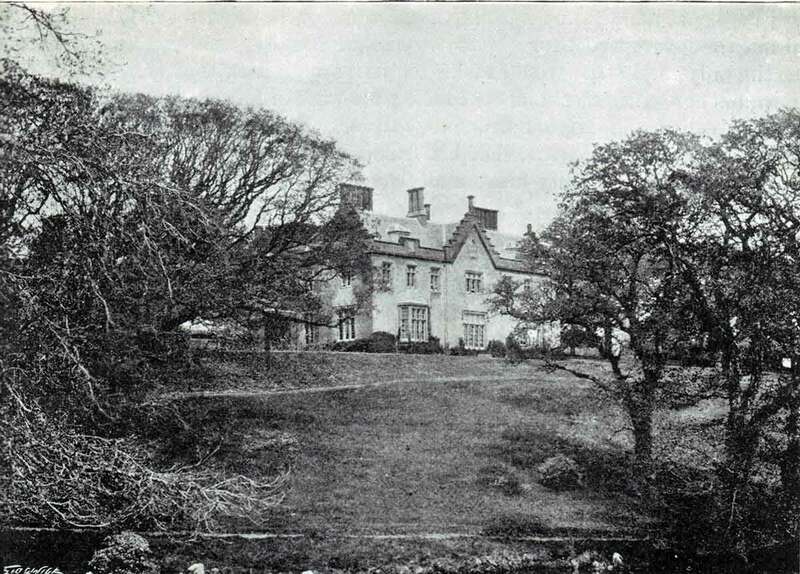 Charles, or Charlie as he was known, was born in 1890 at Marshgate, near Camelford to Thomas and Ann Medland and later moved to Polinnick Cottage. After leaving school he worked as a farm labourer for Walter Smith at Egloskerry. A strong Wesleyan, Charlie became a local preacher. His two brothers also served in the War, one in the A.S.C., and the other, a stoker, on H.M.S. London. At the outbreak of World War 1 he joined the Duke of Cornwall’s Light Infantry 6th Battalion Lance Corporal (Regimental No. 17128). After their training the Battalion landed at Boulogne in May 1915 as part of 43 Brigade, 14th Light Division. The Division saw action at Hooge and Bellewaarde in the Ypres salient and had the dubious honour of being the first to be attacked by flame throwers! Charlie had a strong trait in his character of thoughts for others and he displayed much heroism in rescuing a number of wounded men, bringing them in amidst a perfect hurricane of German shell fire; a Wesleyan chaplain of his Battalion stated that Charlie was worthy of the Victoria Cross over and over again. By August 1916 the 6th Battalion was in the line of attack on German trenches in and beyond the Northern edge of the Bois de Ville at Longueval, know to the soldiers as Devils Wood, and was the scene of fierce fighting and many casualties. The area encountered intense German shelling. On August 18th, Charlie took part in a charge with the Battalion captured a German trench in the face of persistent resistant fire. Many were killed or wounded in going over, but Charlie got across safely. He, however, ‘spent himself for others‘ as the chaplain explained in a letter to Charlie’s parents. Seeing a wounded comrade in danger, he went out to rescue him, and succeeded in bringing him across the open ground, Charlie was shot in the head by a sniper just as he was lifting his wounded comrade over his own parapet. He died instantaneously. Charlie was the first Wesleyan local preacher in the Launceston circuit to be killed in the war. He is commemorated on the Thiepval Memorial, Pier and Face 6 B, and also on the South Petherwin War Memorial. 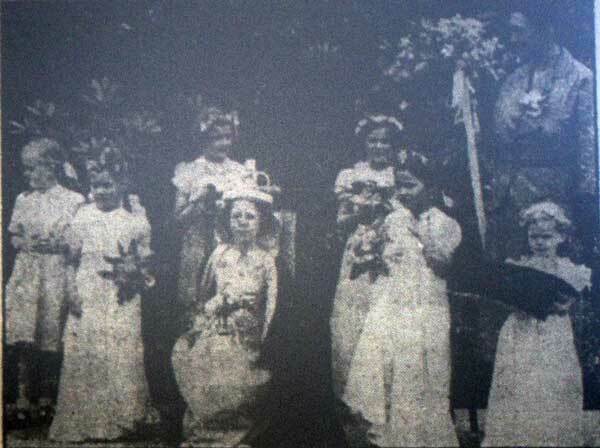 William was born at Cape Colony, South Africa to Eliza H L Theobald and the Rev L A Theobald in 1897. His Father was a Methodist missionary whose early death prompted William’s Mother , Eliza, to return to London with her three children. They arrived on the ‘ Tantallon Castle’ in August 1897 and settled in the suburbs of Tooting. 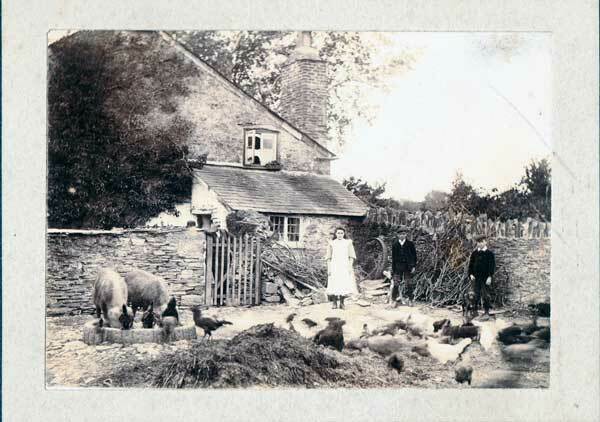 William went to the Wesleyan College at Bath and on completion of his studies there, came to work on a farm in Cornwall (Believed to be within South Petherwin Parish and possibly for Mr. Rawling at Oldwit Farm) to gain agricultural experience. The forces in the Somme sector of the line were facing formidable defences and strong opposition. It was planned therefore to draw some of the defending German formations away from the Somme by carrying out a diversionary attack further north of Gommecourt. The defences here proved very difficult to break down and the London Scottish faced a daunting task. They attacked enemy trenches strongly held and protected by deep wire obstacles. As a consequence the casualties were high. A letter from William’s Platoon Sergeant to his sister Agnes read ‘I find that your brother never left our trench. He was seen about five minutes before our charge and I fear he must have been hit by a German shell’. William’s body was never found but he is he is commemorated Thiepval Memorial, Thiepval, Department de la Somme, Picardie, France,Plot: Pier and Face 9 C and 13 c. William’s brother, Arnold, also lost his life during the first World War and is commemorated on the Dunheved College window of remembrance. Harry was born in 1890 at what was known as School Hill, South Petherwin to John and Ellen Walters. On leaving school he worked as a Farm Labourer. On the outbreak of World War One he joined the Duke of Cornwall’s Light Infantry as a Private 15664 but transferred to the Princess Victoria’s (Royal Irish Fusiliers) as a Private 15769 in the 6th Battalion. He died of disease (Exposure?) at Salonika, Greece on the 4 Dec 1915 at the age of 25. 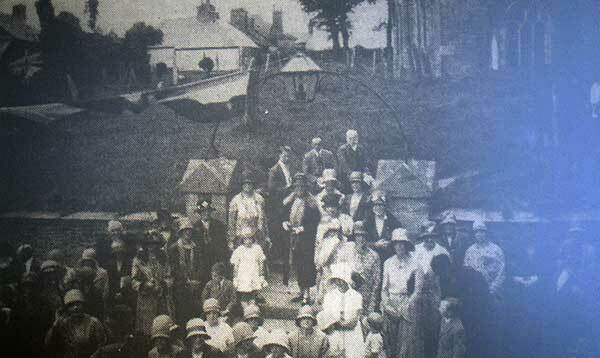 Horace was born at Landlake Farm in November 27th 1895 to William and Florence Westlake (Nee Harris who died in 1899). 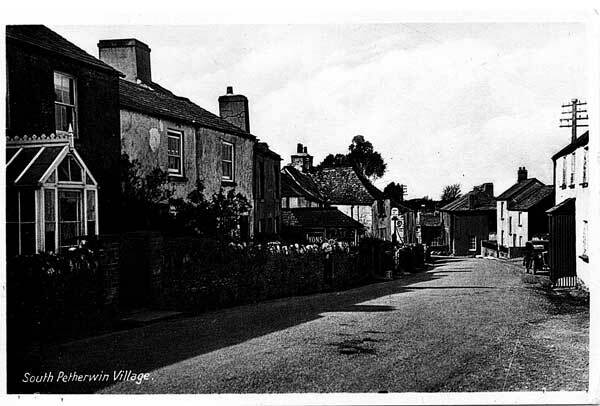 Before joining the Devonshire Regiment he worked at Linnick Farm, South Petherwin for Mr. Bickle. His Younger brother, Cecil, served with the Duke of Cornwall’s Light Infantry and was captured by the Germans..
Horace (Private 14662) served with the 8th Battalion. He was Killed in Action at the Battle of Loos on the 25th September 1915 aged just 19. The Devonshire Regiment were in action at the Battle of Loos and many, like Horace, lost their lives on the very first day of the offensive where the British used gas for the first time. Horace’s body was never found and is likely to be one of the many at Loos Cemetry ‘ known only to God’. However a bible found on the Loos Battlefield by Private Pattison Walton of the 2nd Battalion Border Regiment, is actually Horace’s. 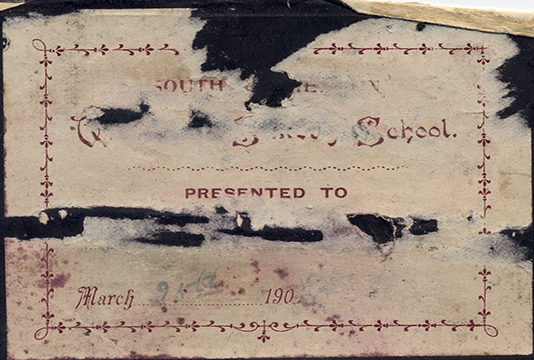 (Inside he wrote ‘’Found on the Battle Field on Sept 26 by Pte P Walton, 2nd Batt Border Reg. This bible belonged to one of the Devons who charged with us. 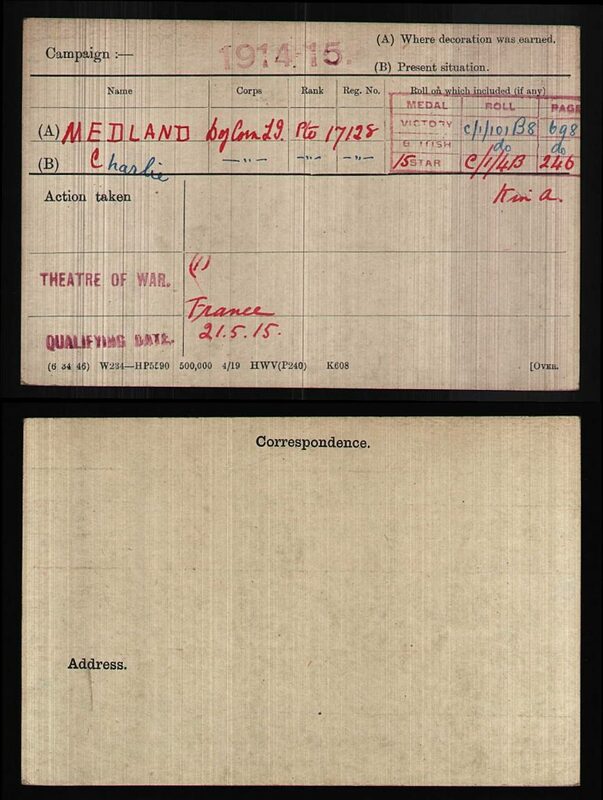 Found on the field after the attack of Loos and Hulluch on Sept 26/9/15.” ). Mr. Walton presented the bible some 50 years ago to a lady in Surrey who has spent many years researching who the bible belonged to. We have confirmed that it is in fact Horace’s given by the Wesleyan Sunday school in 1906. Arthur Edward Wonnacott was born in Daws House Lane in 1892, he was the son of Edward and Emily (nee Waye) Wonnacott, his father was the local Policeman. He had a Sister Emily and Brother Herbert. Arthur was a Sapper (19998) in the 5th Field Company, Royal Engineers. 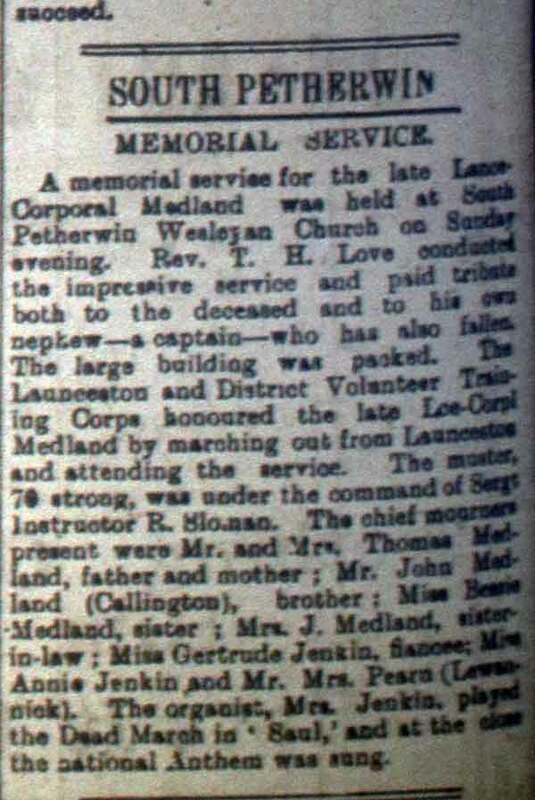 He died on the 15th of January 1915 aged just 22. He appears on the Le Touret WW1 memorial in France, St Breward War Memorial and St Mabyn War Memorial. St Breward was probably his last address as the family were living there in 1911. 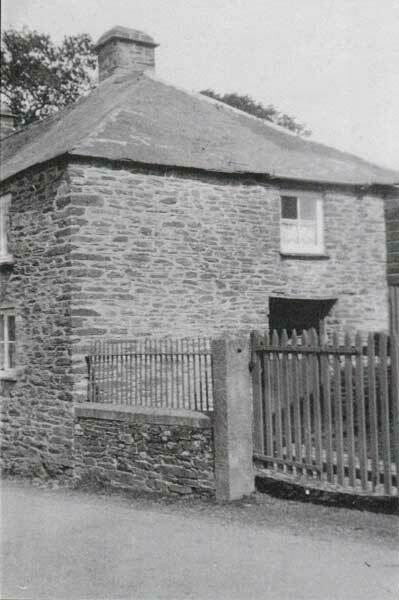 Ronald was born at Strand Cottage, South Petherwin and was one of seven Brothers and one Sister. Ronald was a Sergeant in RAF Volunteer Reserve and served with Bomber Command (Service No 1354856) in 103 Squadron and was a gunner on a Avro Lancaster. The Lancaster (JB747 ) was shot down and crashed at Zehrensdorf in February 1944 killing all the crew. Ronald is buried at Britischer Soldatenfriedhof, Berlin. He left a widow in Lily (nee Spence) Creber whom Ronald had married in 1943 at Hendon, Middlesex. Horace or Frank as he was known, was born in October 1906 to Robert and Minnie Hicks at Tregaller, South Petherwin. 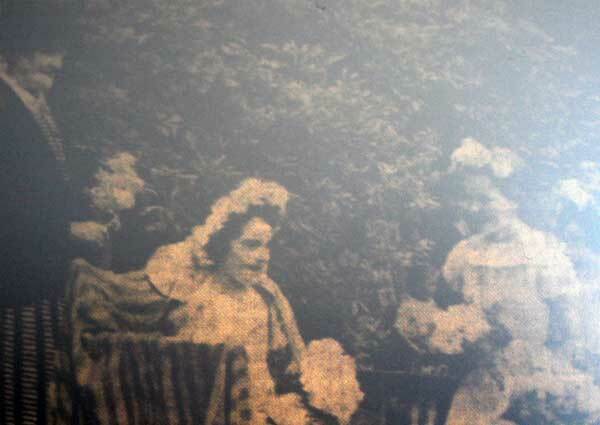 He had an elder brother Robert and elder sister Louisa. 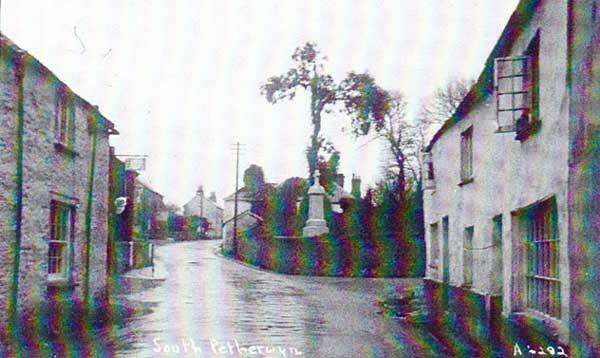 He was a keen Church bell ringer and a Parish Councillor whilst before enlisting had been a member of South Petherwin’s Homeguard. Frank married Gwen Aunger in 1930 and together they had one child and at the 1939 register were living at The Retreat Moor View. At the outbreak of the War he had been working as a gardener. 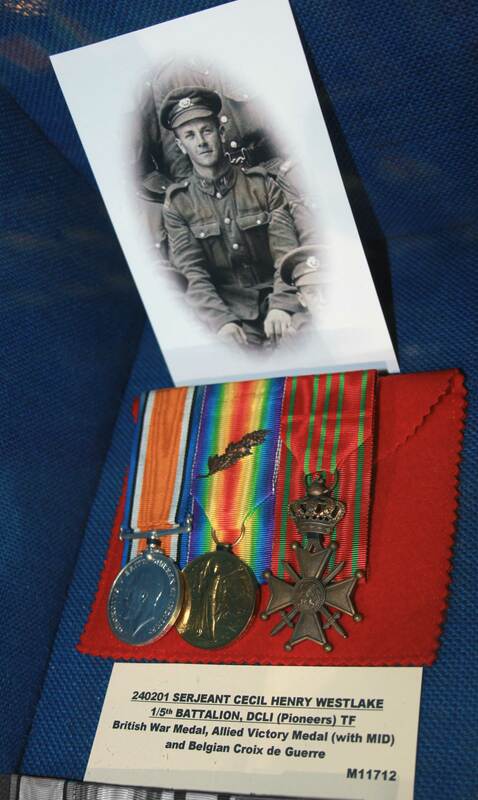 Cecil Westlake’s Medals at the Duke of Cornwalls Light Infantry Museum, Bodmin. Cecil Westlake was the youngest of three children being born to William and Florence Westlake at Landlake Farm, South Petherwin in 1897. Like his brother Horace (Who was KIA at the battle of Loos) at the outbreak of World War One he enlisted joining the Duke of Cornwalls Light Infantry (240201) on the 29th . He served at the western front and achieved rapid promotion finally ending up as Sergeant. He was offered an Officer position but refused as he wanted to remain with his men. Cecil was Mentioned in Dispatches in 1917 (Gazette issue 30434. Mentioned In Despatches. ; Deserving of special mention.) He was also awarded the Belgium Croix de Guerre 1st Class in 1918. He was captured by the Germans when they made a powerful attack in the Leys April 12th 1918 and saw out the remainder of the war as a POW. Due to the poor nutrition he suffered during his months of captivity he came down with Beriberi. On his release he met and married Lillian Holley in Croydon, Surrey. He never returned to live in Cornwall, instead settling in Bristol working in Hardware. He never discussed his wartime experiences, but upon his death at the early age of 51 (probably caused by him contracting Beriberi), daughter Pamela found an old diary that he kept notes throughout his internment. Below are a series of transcriptions taken from that old Diary by Brian Edward Holley in his book ‘They went away to war’ (ISBN I 85776 942 2). Captured 12th April at Meville. Assisted a wounded man to dressing station a distance of 2 miles. Treated fairly well. Carried wounded German another 2 miles. 12th April. Barley water and a slice of black bread for breakfast the morning 13th 8 a.m. 13th marched to (Wari?). Carrying shells all day from the station to the village. Our airmen had bombed the station the previous night and blew up ammunition, trucks and rails. Tea time burnt barley water and a slice of bread. Slept that night as previous one. In morning 15th breakfast barley water, slice of bread. Carried shells all day. Still at same place. Sanitary conditions awful. Remained at nd finished up with 1/3rd . Adjoining field on 27.6.18 German plane brought down by one of our airman. We has been writing home for 3 months, on the 3.7.18 we were told none of it had gone. Page 7 On 5.7.18 the men refused to go to work owing to the awful rotten dinners we had. Officer drew his revolver, all the guards loaded their rifles, but things quietened down. 12.7.18 We were gassed by (cannot decipher) gas from shells. Used blankets for gas masks. Wooden clogs issued in place of boots. PAGE 8 We had some shirts, tor rags, pants and towels, Austrian trousers, caps (cannot decipher) and some worn outboots given to us. The bandages they used for our men now made of paper. Men were starving, broke into cook house and stole 15 loaves. 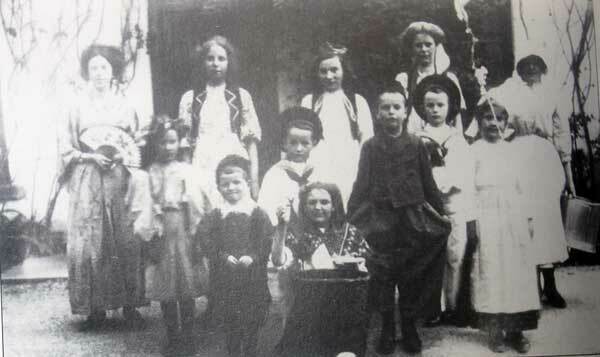 The camp were punished by having their bread stopped the next day. It was a French farm, all buildings were partly knocked down, we slept on about 3 feet of manure. The smell was simply awful which caused a lot of sickness. We had nothing to have our meals in. I myself used an old rusty tin which had been lying in the manure heap probably for months. We had some Portuguese troops with us. We had no blankets to sleep with. And in the morning places where it rainthe farm. Men in awful condition. No clean clothes or boots. Several men died in the camp. Men were absolutely weak, dropping down faint. Impossible to say how many men died in hospital. We started with 500 men in the camp (page 5) aed were worse inside than out. The food we received was not so good as what we should give a pig at home. It was awful, words cannot explain the condition of the men. They were catching moles and eating them. Picking up potatoe peelings from the manure heap and cooking them. If one of the Germans had two or three spoonfuls of his dinner left our boys were that hungry that they would all scramble and fight for it, and the Germans standing laughing at them. 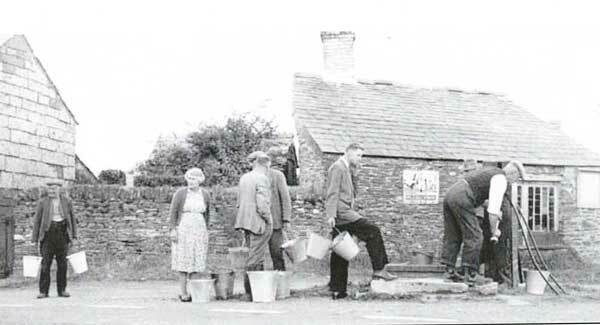 Washing in an old ditch the water absolutely black. The sickness was terrific, but still they were made to work. PAGE 9 Another German plane brought down in flames. One man came down in a parachute. Weather is very wet. Now dinners were made of boiled beetroot. About a 100 of our planes bombed the village of (cannot decipher looks like Santel) put the wind up Jerry. 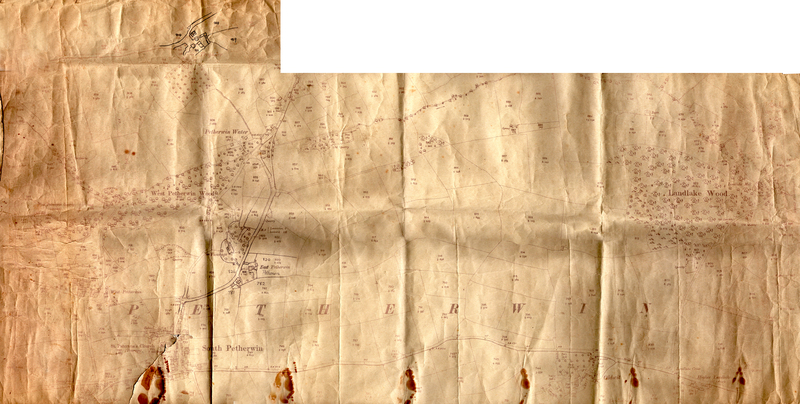 On 28.8.18 we left the farm and made our camp at (cannot decipher looks like Lesquint) . Page 10 Men worked 8 hours every day on ammunition and ration dumps. Eighteen sergeants left for Germany arrived at (Dort?) . Lille (Fort McDonald?) . 5.10.18 (Bais? ?E) we left there on the march for Brussels. A distance of 80 kilometers. We marched 20 kilometers everyday. 9.10.18 entrained at (cannot decipher starts like Hal?) For Gardelegen. 19.10.18 we left a village called (Bysingham?) For (cannot decipher) Germany and we reach (cannot decipher). Page 11 (name of place cannot decipher) where we get into a passenger train. We reach Gardelegen about 9 p.m the same day. Next day we received an emergency parcel each, which was a godsend as our rations for the journey had been a slice of bread a day and water. On 24.10.18 we move to (Weshan? OrWerhen? Or Werbian?) An NCO camp where we get another parcel. Then every ten days we get one until the Arnistice is signed and then we get six (groceries?) Each 3 bread and a biscuit parcel. On 17th December three others and myself left the camp and proceeded to Havelberg, a nice little town where we stopped at an hotel called the Kronprinz. Of course we took our own food with us. 9:30 same evening I had a (cannot decipher) time, everything was extra special. Came back to camp next day. On 22nd December two of our Officers visited the camp, a Major and a Lieutenant. Told us we were leaving for England on Boxing day. We went to Village theatre. Very good. Paid one mark. Christmas Day the Germans had a parade to see whether everyone had the correct clothing. Some of our boys were still away. In the afternoon went to our hotel, went back to tea came out again at six went to same hotel. Played billiards, piano playing and singing. Left camp on 27th and arrived (looks like Stettin.) Embarked on the ‘Dronning Maud’ a Danish Steamer at 9 o’clock. We had two meals on the boat. Disembarked at Copenhagen at 8 o’clock on 29th December. We went to (cannot decipher) by train. We were welcomed by the civilians more than I expected. On 30th we were issued out with khaki and each man received a bath. 6 a.m on the 31st we had a glorious time plenty to eat and plenty of singing and more than we could drink of whisky and soda.on 1st January 1919 I went to a village called (Birkerod?) Some pleasant evenings. Left (cannot read name) for Copenhagen and went aboard ship ‘Frederick VIII’ on 7th January. The first two evenings we’ve a good concert each night. Landed Hull 10 a.m. On 11th went to Ripon 2 days. That was the last diary entry.